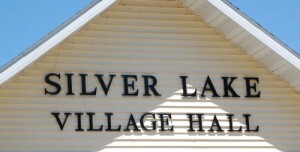 A plan authorizing the preparation of a cooperative plan between Salem and Silver Lake was passed unanimously by the Silver Lake Village Board at a special meeting Thursday night. A similar resolution was passed by Salem Town Board at a special meeting Monday. Part of the plan is expected to be a boundary agreement that would merge the town of Salem and the village of Silver Lake as a single village. Silver Lake village President Bruce Nopenz, speaking during discussion of the motion Thursday, laid out an aggressive timeline for at least the initial stages of the process. The plan is expected to be completed by June, with a joint meeting with both boards taking place on July 6 to ask and answer questions, Nopenz said. State statutes require all municipalities and school districts within five miles to be notified of the plan process. Nopenz estimated that to be 40 entities. “There’s a lot of work between now and then and there’s a lot of work after that,” Nopenz said. Nopenz and other board members also expressed optimism about the results of a merger of Salem and Silver Lake. After the meeting, Salem resident Michael Ullstrup, who was in attendance at the meeting, said Salem’s citizens committee that explored options for Salem incorporating as a village last year, will be reactivated as part of the process. The committee will assist in informing the Salem residents about the plan and the process, he said. A boundary agreement with a village was cited by the Salem citizen committee that studied incorporation models as the most streamlined of all of the possible ways the town of Salem could incorporate as a village. It would not require a referendum, though an advisory referendum could be held or forced by a petition of a sufficient number of residents. Another advantage of incorporation via boundary agreement would be the inclusion of all of the town in the new village. A traditional incorporation requires compact area and typically farmland and less dense areas are not allowed to be part of the incorporation. Salem town Chairman Diann Tesar has said she would not be in favor of an incorporation that cannot include the whole town. A traditional incorporation effort also would likely be more expensive, town officials have said. Incorporation has been an on again, off again goal for Salem through recent years. Villages have powers over self determination and driving economic development not available to towns. The also have secure boundaries as land inside a village cannot be annexed into neighboring municipalities. Silver Lake and Salem have been sharing more services over the last year. Silver Lake contracted with Salem for fire and rescue services, dissolving its own fire department. In recent weeks, Salem assisted Silver Lake with some public works projects. A boundary agreement driven consolidation of Salem and Silver Lake would also satisfy an element within Silver Lake that has been seeking to unite with Salem. A effort to dissolve the village and become part of Salem — spearheaded by now village President Nopenz — failed in 2014 when a referendum gained an insufficient majority of Silver Lake voters. The area now consisting of the village of Silver Lake was part of Salem before the village incorporated in 1926. “It probably should have never been split apart,” Nopenz said at Thursday’s meeting. Salem has a population of over 12,000. Silver Lake’s population is about 2,400. This plan, while in the initial stages, has been very well thought out by both Salem and Silver Lake officials There will be public input, and I would expect the elected officials will listen carefully, then act according to their “due diligence”. Those folks that have concerns should be sure to make them known to their elected representatives. This is an exciting crossroads for both Salem and Silver Lake, with an immense potential for good things in the future. Dan Withers stated, ” “I would assume this will be a win for the people of Silver Lake. The service will improve and the cost will go down.” Really Dan? How about you do a little more homework and not just “ASSUME” ? Or how about this gem from our own Bernard; “There will be public input, and I would expect the elected officials will listen carefully, then act according to their “due diligence” C’mon Bernard, how can elected officials “listen” to anyone if they won’t allow public comments during an open meeting? Just more of the same old good old boys selling the residents out so they can save a few dollars on their taxes. We gain ZERO and lose the small town feel of a Village we all chose to live in. Since the public has not been allowed to speak at any open meetings, where can they voice their opinion? If nothing to hide, why wouldn’t the board allow comments at the last two meetings? Sounds like the board is more interested in making it as hard as possible for residents to have a say in what happens in Silver Lake. Maybe it’s for the better. After all, once we are Salem we won’t have a say in anything anyways. Facts is what Bernard works off of. Fact tell the truth. Thanks Bernard. Others just try to twist the truth. You tell the truth. Like Bernie says there will be a public comment period per state law. That does not mean the board will listen to any of it. At meetings they are not concerned with public input so why now. If it were not for the law requiring the public comment period there would be none. The ‘dissolvers’ are in power now. They couldn’t dissolve the village so they will go this path. End result we are one with Salem. Call it whatever you want. Funny that prior to the elections they claimed the dissolve thing was over and none of them wanted it. All the while they were working behind the scenes to make this happen. One good thing in all this. If we are to be combined with Salem better to be a Village than a town. Good thing the dissolve thing did not go through that would have been worse. But then they know what is best for us even though they will never admit they had a bad idea in dissolving. Our tax base will expand. Our mill rate will decrease. Our services will be better and controlled be professionals. And best of all, we get the long term locals out of our government. You should of never delovoped the north side, if you can’t handel change. Anytime you want to talk face to face, come see me at the next village meeting outside the village hall. I would be happy to talk with you. STATE LAW REQUIRES a PUBLIC HEARING with a 20 day response period , well, it’s been 5 days now and I have seen anything telling residents where and when this public hearing will be. Do we all need to show up at the local watering hole to catch the good old boys discussing this? When does the public comment period start? I’ve heard zero since the meeting last Thursday. This is all positive movement. Please call and talk to me if you are confused. I don’t see many people at the board meetings. That is where yo will learn the truth. Why attend a board meeting? Clearly the board didn’t allow any comments at the last two meetings. Why are they afraid to let the residents of Silver Lake speak? Seems very odd that there hasn’t been any mention on west of the I or by the KNews on this story since almost 2 weeks ago. If they won’t discuss this during open session at Village/Town meetings, where can residents learn more about how the becoming the Village of Salem will affect them? It is being discussed at the meetings. Salem has a full study done on the project. Read the study its on Salem’s web site. Look at Moving Silver Lake Forward. Lot of information out there. Call me and we will meet. I will tell you everything I know about it. I know this is the best for both communities. Silver Lake meeting tonight at 7pm. Is Greg Galich a board member, or a Village of Silver Lake official? No offense to Greg but shouldn’t our elected officials be answering residents questions? I work nights and can’t miss work in the hopes the current board may or may not decide to hear citizens opinions. I have attended the last few meetings and the President always opens every meeting with “Citizen’s Comments”. The President then asks if there are any comments from the floor, … nothing. Please come to these meeting and take advantage of these opportunities. Making statements on social media really will not allow you to get a response. The meetings are the posted, hopefully we will see you there. Why is it residents still have no access to information regarding this merger? The president has not allowed any discussion on the merger with Salem, period. You can try to spin things a million ways, but the facts are the citizens have been kept in the dark on this issue. Why? If being part of Salem is so great, why not allow residents to ask questions or voice their opinions. Chris is correct, All information is given at the meeting, Show up. You say no information is given. That is a false statement. I have never seen you at a meeting. So your words are false. Please check the meeting minutes. The public has still not been able to ask questions regarding the merging with Salem. You should stick to gossiping at the gas station, and leave Village matters To board members. Have you ever called a Village Board Member and asked these question? I know the answer and it is no. You like to make problems where there aren’t any. I know your type and we got rid of them off the village board. There is some validity to both sides of this argument about comments at meetings since the agreement between Silver Lake and Salem surfaced. There was a committee of the whole meeting where there were no citizen comments, as has been the custom. There also was a special meeting where there were no citizen comments allowed for on the agenda. The next village board meeting was a regular meeting and citizens comments were on the the agenda, but no one spoke about the agreement with Salem. In addition, the board also eliminated monthly committee of the whole meetings, returning to two regular meetings, so that in theory should mean two meetings a month where there typically are citizens comments. Of course some boards don’t answer questions during citizens comments.